Probably the greatest match ever contested… you decide – enjoy! I often hear certain people referred to by others as being “natural tennis players”. It is as if anyone who plays well was just born to play tennis. Associated with these concepts is the common belief that good players were born good or at least at some stage they automatically became good. Firstly noone is a “natural tennis player”. Highly skilled players are invariably naturally talented athletes who if brought up in a different sporting environment would almost certainly enjoy a high level of success in that particular sport. Naturally talented athletes would logically have the potential to excel in a wide range of physical activities. I have a strong belief that if even the very best players eg Lleyton Hewitt were not introduced to tennis, then of course they would not even play the game let alone excel at it. In Lleyton’s case I am sure he would be capable of achieving a high degree of success in a number of other sports eg football & golf. With reference to the “natural tennis player” there is no such person – anyone who plays the game well has achieved that situation by endeavour – thousands of hours of hard work. The combination of natural athletic ability, opportunity & a passion for the game leads to success. Some people have similar theories related to certain sections of the game. For example, some players are described as “natural volleyers” – again a misconception – there is no such player, only those that don’t volley well & those that do (very few I might add) & all of these develop skills in the area by sheer hard work. South Australian Peter Smith has 40 years experience as a Teaching Professional. Twice voted Australian Tennis Coach of the year, Peter is most widely known as the long term coach of Lleyton Hewitt. 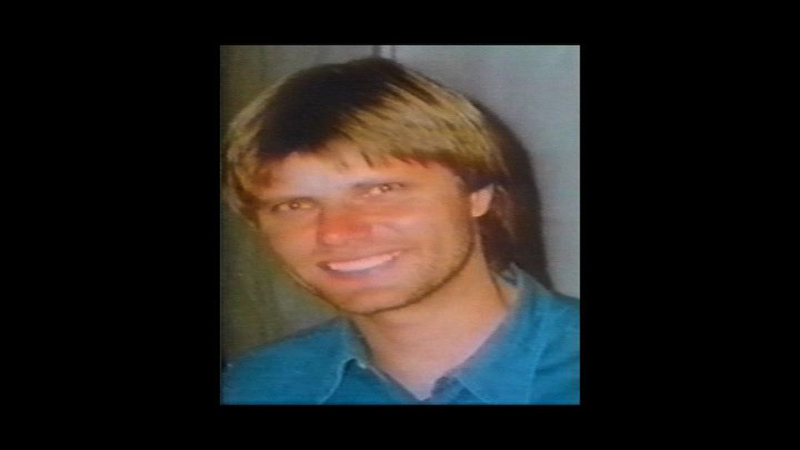 He has, however, worked with a long list of other players including former World Number 1 Doubles player and current Australian Davis Cup Captain John Fitzgerald who says, “There is a great argument to say that Peter Smith has had more influence than any coach in Australia in the past two decades in terms of producing world class players”. Peter has recently released an instructional DVD “The Development Stage” (also available to download in individual sections or as a complete set) – details can be found at www.virtualtenniscoach.com. This website also contains FREE 10 day coaching course and interviews with a selection of Peter’s former pupils. My observation suggests that adults teach infants to behave on occasions in a dramatic & exaggerated manner. Behaviour is rather loud & extravagant as young children are encouraged to develop an ever increasing range of physical skills. Initially, walking is a major conquest – but there is no shortage of assistance – numerous people willing to hold each hand in order to support weight that the infant is struggling with. Every gain (or every attempt) is greeted with raucous applause – every child (maybe more so in really caring families) is led to believe that they are performing feats of enormous magnitude – running faster, jumping higher or throwing further than any other human being on the planet. Tennis provides a whole new stage for performing – a whole new range of skills to dramatise. Result: young children generally playing on a full size court, logically having enormous difficulty covering the area become desperation machines – diving to short balls & wide balls, jumping in vain to anything & everything that flies over their head but in fact reaching very little. Question: Is the effort genuine? ie Is it the best effort possible to reach that particular ball or is it often an example of “false desperation”? ie In the mind 100% effort but in reality an action that can’t possibly be successful. Example: How many times do we see, not just young children but often quite skilled adults, lunge desperately (often associated with a very audible groan) only to be passed, when a couple of controlled steps would have created the opportunity to play a relatively easy shot. My experience suggests that once the player is made aware of the above, they quickly realize the inefficiency of many of their actions & immediately set about making more genuine attempts. The most obvious examples of this “F D Syndrome” tend to occur on anything that is hit out of reach – eg quite a friendly lob can be missed completely (smash) only to be followed up by an attempt to turn, run backwards & retrieve the ball with a back to front over the head hook shot. Surely if the lob was good enough to beat a genuine desperate attempt to smash then it could not be possible to recover from the attempt & then go & successfully retrieve the ball. Short balls provide another excellent opportunity to exhibit “FDS” – dozens of times a day I see players battle unsuccessfully to “dig up” a half court ball when a simple skill test with a much shorter ball proves that the player is easily physically capable of chasing down the original ball. I frequently find myself talking to players about how I trust them to “intend to put in 100%” to reach a challenging ball while at the same time challenging them with the concept that with a 100% planned & structured effort they may well have reached that particular shot comfortably. Without question Roger Federer has been, and still is, a breath of fresh air in the modern game. Although regarded by his peers, even in the formative years, to possess the ability to produce amazing speed of racquet head, Roger has brought an artistry to the game reminiscent of some of the legends of bygone days. We are indeed privileged to witness a game that places great emphasis, not solely on power, but equally on more subtle competitive aspects of the game. A great tactical thinker, Roger displays perhaps a more extensive range of skills than anyone that has played the game. In an era when the ball is being hit heavier than ever before, Roger has almost single handedly been responsible for the re-emergence of some of the “touch and feel” areas of the game. Maybe the most obvious example of this shift from uncompromising power is Roger’s slice backhand, used primarily as an offensive option, frequently challenging opponents with a “different look”, a shot with endless variety of flight path, spin and bounce pattern. Let’s have a closer look at just one of Roger’s variations – a shot that sets up as a regulation slice only to transform into a heavy side spinning backhand, fading and breaking away down the line. Roger has obviously made an early decision to set up for what appears at this stage to be a regulation backhand slice. There is no evidence of being in a position of disadvantage as the oncoming ball is routine. Roger’s movement pattern is very positive, both laterally and into the court. It is worth noting the wonderfully early backswing preparation as he loads up on the left foot. Roger’s classic shoulder rotation continues, the racquet arm has been “opened” creating a correspondingly open racquet face with the racquet head above the left shoulder. The right elbow bend established in the ready position has been maintained and the left hand supports the racquet at the throat. Weight transfer into the shot has commenced. Shoulder rotation continues as the right foot now makes contact with the court and begins to slide forwards (claycourt). The classic preparation is complete – the hitting shoulder is lined up with the “down-the-line net post”. The right foot slide has almost finished creating excellent weight transference as the ball approaches the hitting zone. Balance is perfect with the head directly facing the ball, maximising eye contact. Forward and downward swing commences with a slight uncoiling of the shoulders, the left hand releases the racquet throat, the hitting arm begins to straighten – note the slightly unusual position of the left foot which has splayed marginally backwards effectively acting as a brake. At this stage the preparation could still be for a regulation slice. Captures the moment immediately after contact – perfect balance and head position are maintained. The key factor here is that, with a rapid straightening of the right elbow, the swing pattern has continued downwards and significantly left to right, effectively imparting massive side spin on the ball which has already begun to fade fractionally to the left. Note: If the stroke had continued as “regulation slice”, the swing pattern would have been significantly more horizontal with the follow -through finishing with the racquet directed down the court. Rather than the racquet face contacting the back of the ball left to right, contact would have been under the ball imparting standard underspin. Racquet position now is a clear indication of the severe left to right action. The vertical straightening of the arm and wrist, along with the slight leaning back from the ball, suggest drop shot or extreme short corner fade. Considering Roger’s closeness to the sideline, the fade in the air will need to be minimal. The swing pattern is complete, body weight continues to withdraw, perfect head position – continues to face the ball. A successful outcome to this shot will result in the ball barely clearing the net, landing very short just inside the line, breaking sharply left away from the court. At best, a winning drop shot, at worst the opponent will be drawn forwards and out of court. Just another example of the Federer artistry and tactical genius – not satisfied with using the slice backhand as a variation, he has gone to another level by developing a string of variations to the variation. FREE 10 day Tennis Coaching Course – Online Now! From Lleyton Hewitt’s former coach Peter Smith this FREE 10 day coaching course is now available at www.virtualtenniscoach.com. Over 10 minutes of video instruction, CLICK HERE to register for your FREE course of coaching tips. If you are like me, you probably have a tendency to watch what is almost a daily smorgasbord of sensational tennis either live or on television, purely for its entertainment value. It can be such an adrenalin rush to watch the energy and artistry of the likes of Federer, Nadal and the Williams sisters and the list goes on. Unfortunately this approach, although hugely enjoyable, to a large degree wastes a potentially valuable learning experience. So I am trying hard to develop new skills of “watching and learning from the Pros”. Under these headings it may sometimes be more productive to make a general observation or alternatively there may be some very specific learning point that catches your eye. So, let’s have a go as I share with you a quick glance at some of the superstars of world tennis! Just a hint: see if you can differentiate between the “must-do things” that make all good players good and the additional really creative things that maybe make a genius but are probably too ambitious to be attempted by the average club player. Even in his early junior days, Roger had the reputation of being capable of producing amazing racquet head speed – the best example is probably his forehand groundstroke which is arguably the most dangerous stroke in men’s tennis. Very few if any other players possess Roger’s total all-court game – this is made possible by not only having all the standard strokes but having a number of additional variations to each of these as well. The outcome is an ability to play at the highest level from any area of the court, on any court surface & against any style of opponent. Roger is clearly quite intimidating in his own quiet way – what an advantage! Wonderful example for all aspiring players as he continues to strengthen every area of his game – the heavy topspin is now complimented with a quality serve, a variety of slices & very competent volleying – a genuine all-court game! The basis of Rafael’s game is all-court soundness, as he seems to have an answer for every ball that comes into his court. He also has an amazing ability to create difficulty at the other end of the court. His mental toughness appears to allow him to actually “will” points. What an athlete! Extraordinarily explosive, he has amazing court coverage tracking down almost every ball no matter how difficult, always trying to make the opponent play one extra shot – an energy machine! The standout feature of Lleyton’s game is his overall soundness. He has a proven ability to play on all surfaces & a Grand Slam Doubles’ title is testimony to his all-court game. His backhand groundstroke is respected for its consistency & range of variations while his volleying, particularly through the short corners, is often underestimated. Not as big as many of the leading players, Lleyton has made a feature of some of the more subtle areas of the game. A brilliant, creative counter-puncher, he has turned lobbing, returning serve & hitting passing shots into an art form. Exceptionally competitive, Lleyton is renowned for never giving up. He loves a team environment & has an unwavering commitment to Davis Cup. He is motivated by pitting his skills against the best in the world & thrives in difficult circumstances, often playing on adrenalin generated by performing at his peak. He is respected by opponents & spectators alike for being one of the quickest players in the game. He is extremely fit, with amazing court coverage & a very resilient body that has endured an extremely demanding style of play for ten years on the tour. There is virtually no technical weakness in the Djokovic game. This is just reward for a relentless pursuit of excellence even to the extent of seeking expert assistance for such specialist areas as volleying. He has a really high quality serve, the result of a beautiful, smooth, efficient action on both first & second balls & is capable of serving very big on important points. Perhaps the most impressive feature of Novak’s incredible game is his ability to, not only play groundstrokes cross-court & down-the-line, but to be able to change the direction of play almost at will. This allows him to tactically play the direction of his choice when structuring the point, rather than tending to play the percentages & rally predominantly cross-court. Although the excessive bouncing prior to serving can become a little tedious, there is no questioning his determination to play only when he is completely ready. There are many stand-out features of the Venus Williams’ game, not the least of which is all-round awesome power. Her first serve is measurably the biggest in the game – the second serve, however, can be a little unreliable as it tends to slide quite regularly to the right-handers’ forehand. Both groundstrokes are hit off very open stances which requires great strength but allows her to change direction of shot with very little indication to her opponent. It is impossible not to be impressed by Venus’s incredible defensive skills – these often go unnoticed, however, as she is capable of being so aggressive from difficult situations that she can turn almost any defensive situation into offence. Brutal power off both serve & groundstrokes leads to many floated replies which Venus deals with using her explosive trademark drive volleys from mid-court. As strange as it seems in the modern game, Venus has been able to mix professional tennis at the highest level with study, fashion & business. When on the court, however, this full lifestyle does not appear to have diminished in any way, pride in her performance & hunger for success. Venus must surely be one of the great athletes of all time. She is very tall, very strong with an almost cat-like ability to cover every area of the court. Maria is an extremely aggressive baseliner – both groundstrokes are hit incredibly hard, quite flat & amazingly close to the lines. Both serves are hit very heavily, frequently setting up weak returns that are often punished with penetrating drive volleys often from very deep in the court. Perhaps the most characteristic feature is the follow-through on the forehand groundstroke which usually finishes upwards & backwards from the point of contact. There appears to be one game plan – all-out aggression. Although this approach is potentially high risk, in form she can be almost totally domineering. Some would suggest that the trademark “screeching” is tactically motivated. What a great athlete! Very tall & incredibly strong, it is easy to see how she can be so intimidating. Her height is perhaps a slight disadvantage when moving out wide or to short low balls. It is amazing to see the power Maria generates, often off the back foot & with the flourishing follow-through. Amelie has such a classical all-court game and, like Justine Henin, the standout feature is her ability to play an amazing range of one-handed backhand groundstrokes. Her topspin variety is played with a heavy backhand grip & a correspondingly quite open stance. She has great feel off the slice backhand as well, which she often uses to approach the net or to set up points with creative dropshots. Not possessing a particularly reliable or penetrating serve, Amelie has developed an amazing range of strokes which allow her to play effectively on all surfaces. She can do just about anything, with her standard baseline game being complimented by many creative options such as serve & volley, slice return & slice approach. Great to watch a no-nonsense player who just wants to get on with the job. Sadly, her inability to win at Roland-Garros has probably created an impression, at least within France, of not being mentally strong – so pleasing therefore to note the other grand slam victories. An amazingly sculptured athlete who, despite numerous injury problems, continues to play tennis with great artistry & a style of play that requires movement to all areas of the court – maybe the most graceful player in the game. Perhaps Serena is the most complete player in the women’s game. It is hard to find a weakness anywhere. Her first serve is very big & her topspin second serve is of the highest order. Both groundstrokes are extremely penetrating & she possesses a full range of volleys. Everything about Serena’s game is aggressive & dominant. She is constantly attempting to establish an advantage, moving forwards at every opportunity to attack short groundstrokes or to approach the net with a view to finishing the point as quickly as possible. Despite the challenges of frequently having to play sister Venus (hard to imagine how difficult this must be), Serena is an amazing “big match” player. Even in recent times, playing almost part-time, she has demonstrated the ability to come into a tournament out of form & to just keep improving match by match – who can forget her Australian Open victory in 2007 (ranked 81st & unseeded)? Although not as tall as some of the other leading players of the past decade, Serena is arguably the most powerful athlete on the women’s tour. Despite some injury problems in recent years, she continues to be capable of playing at the highest level in the most intimidating & imposing manner. Well, if you have been like me & needed some encouragement to start a process of not just watching but actually learning from the Pros, I hope this helps. One final tip – look past the power aspect of the modern game & focus your attention on technical & tactical soundness which, without exception, would have taken 10 to 15 years of relentless hard work & sacrifice to develop. Professional demonstrations, the ready position, the grip, the stance, the hitting action, appropriate use of slice at the development stage, coaching tips, a visual overview summarising the main teaching points. Professional demonstrations, the ready position, the grips, stances, the hitting action, backhand target area, backhand variations (hitting down the line / wide backhands), additional single and double handed coaching tips, visual overview covering the main teaching points. Professional demonstrations, the ready position, the grips, stances, the hitting action, forehand target area, forehand variations (hitting down the line / wide forehands), visual overview covering the main teaching points. Professional demonstrations, serving ready position, the stance, service target areas, the grip, the ball placement, the service action, a visual overview summarising the main teaching points. 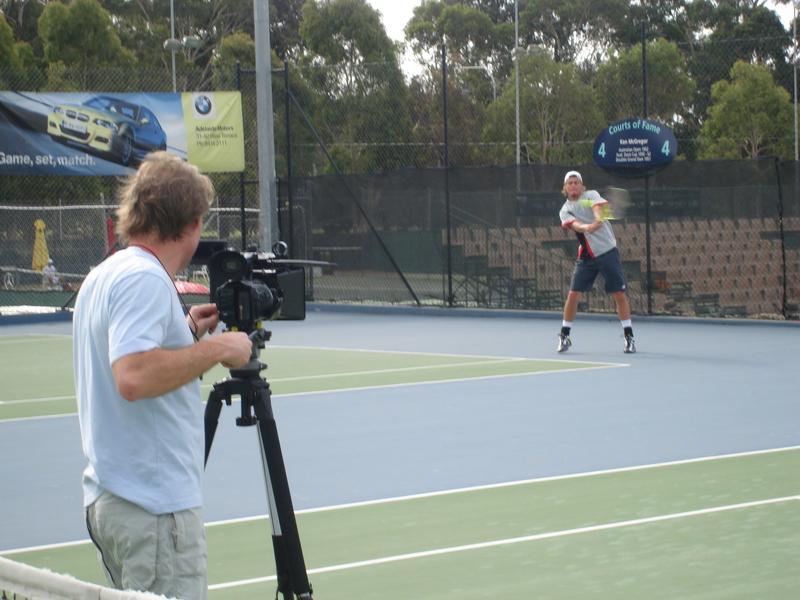 virtualtenniscoach.com is the video website of world renowned Australian tennis coach Peter Smith. Thank you for your interest in Virtual Tennis Coach.